Viva | I Review Too . 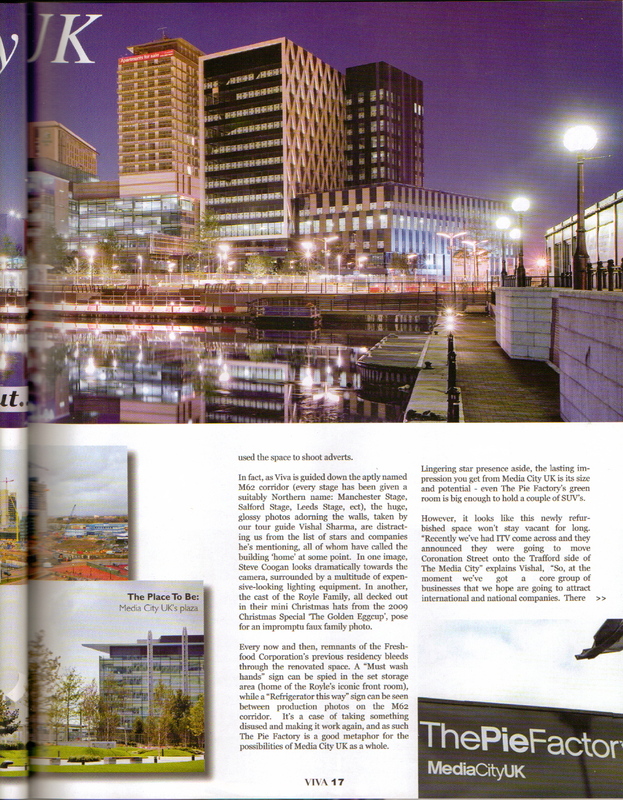 . .
Viva is the leading culture publication for Manchester and Cheshire and can be found in the receptions of many swanky city centre hotels, offices and coffee shops. 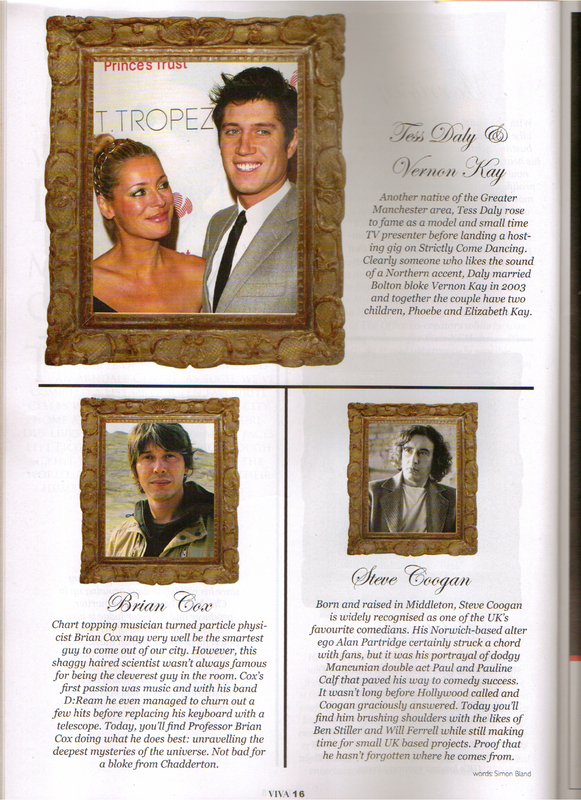 Published bi-monthly and extremely glossy, the magazine prides itself on its quality and content. 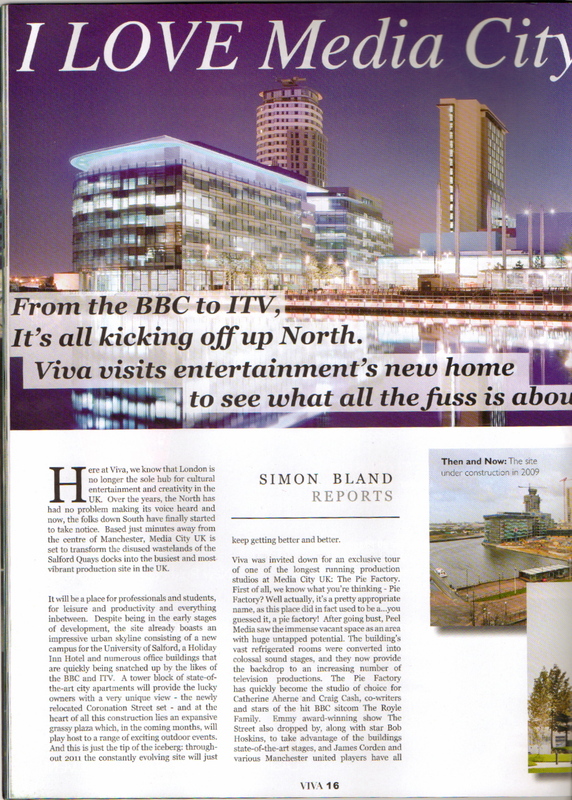 I was sent to get the lowdown on Salford’s state of the art Media City for a feature published in issue 4. 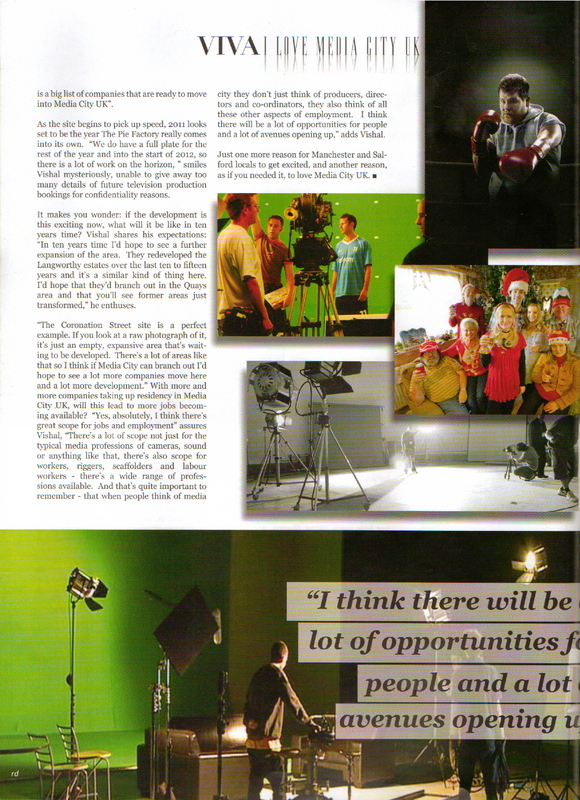 I also designed the article in Adobe Indesign CS4. 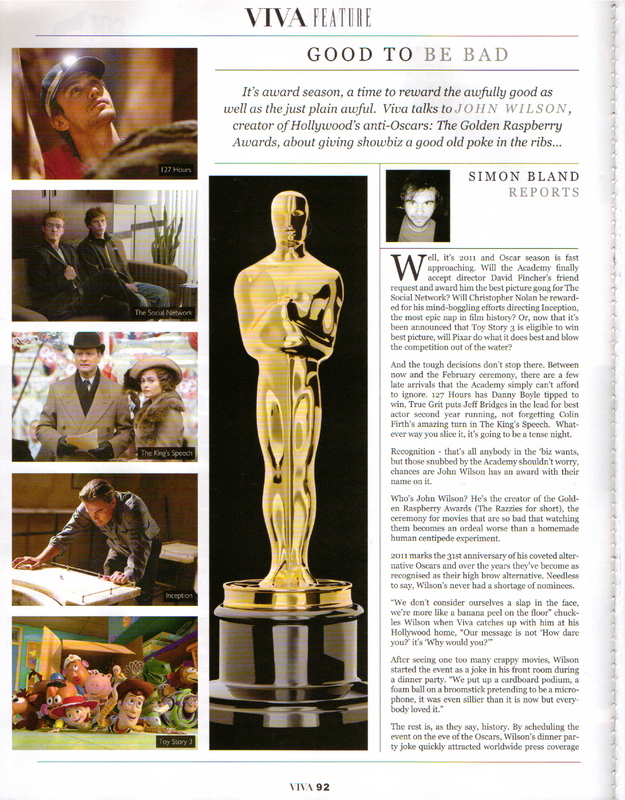 Razzie Awards John Wilson interview. Here’s an interview I did with John Wilson, creator of the Razzies or the Oscars for terrible movies. I pitched this light-hearted feature to the guys at Viva who felt it would be a good counter-article to their Oscar coverage in issue 4. Again, I was able to design my own feature for publication using Adobe Indesign and Photoshop CS4. 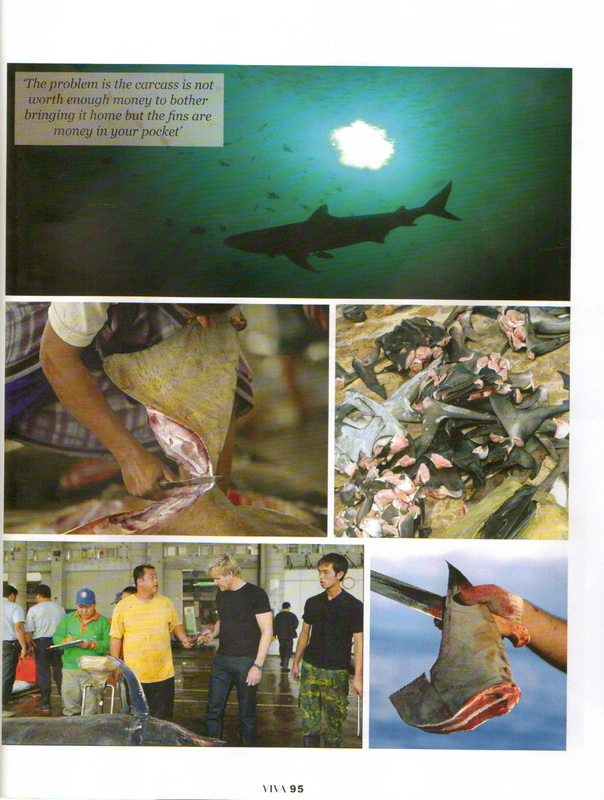 I was asked to write a lead feature for Viva’s fifth issue focusing on the controversial topic of Shark finning. 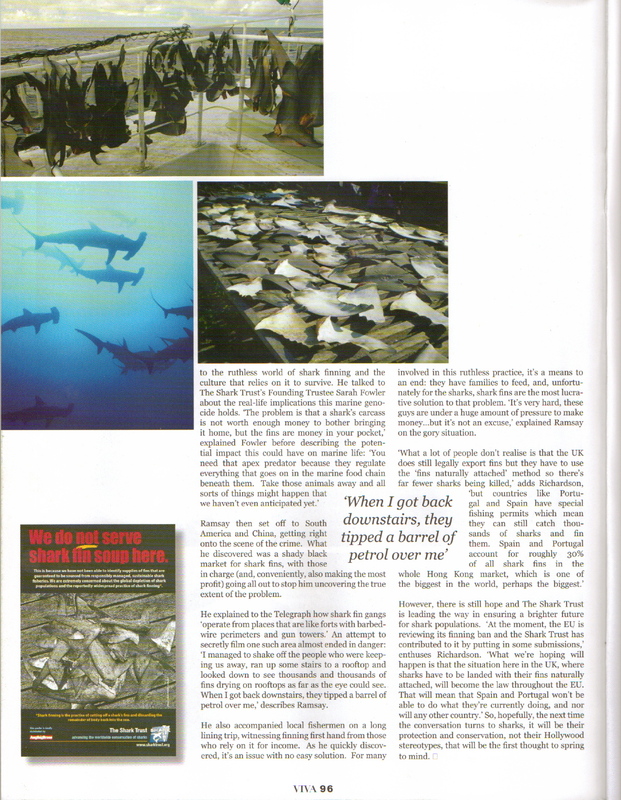 At first this was a bit daunting – I’m use to writing hyperbole filled movie and music reviews and interviews, however after doing some research, and interviewing a member of the Shark Trust I came to enjoy being out of my comfort zone. 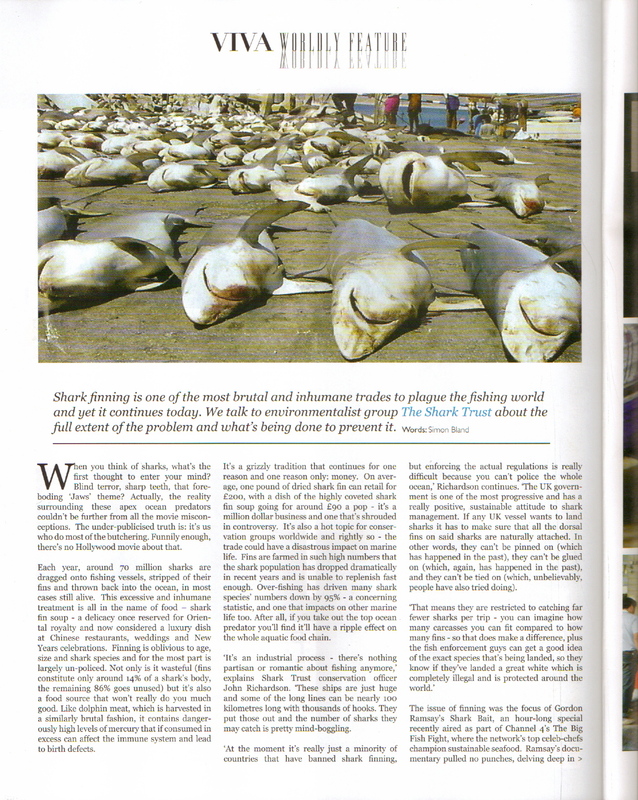 The issue of shark finning really is quite shocking, it opened my eyes to the whole problem whilst giving me some in-print coverage around Manchester and Cheshire. 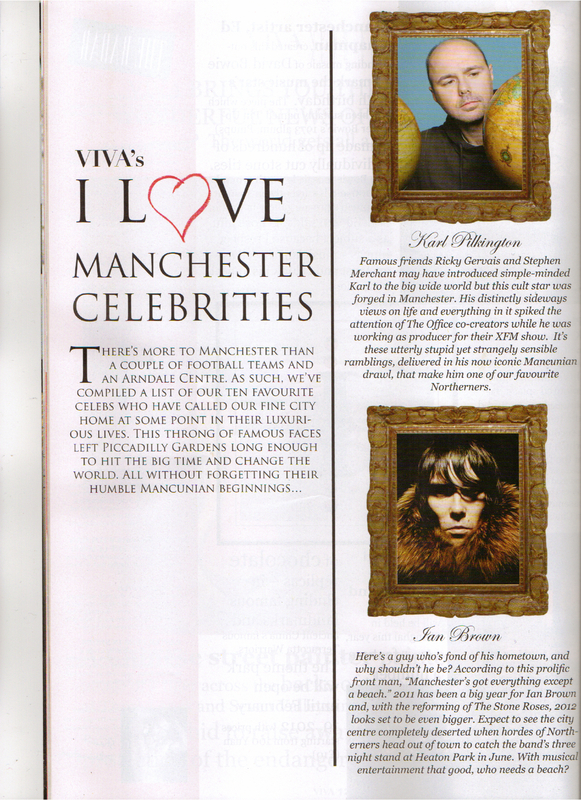 Viva is a culture and lifestyle magazine that’s distributed all around the Manchester and Chester area. 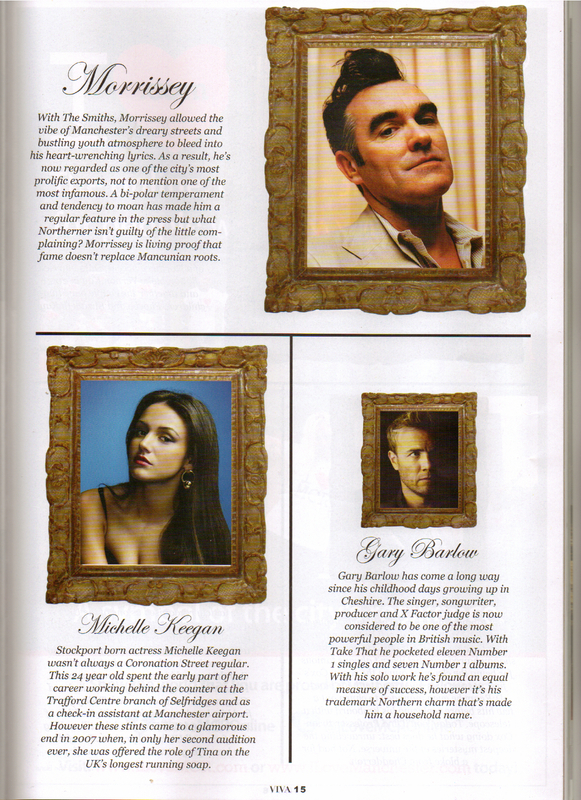 They asked me to write a quick feature about Manchester’s celebrities for their March issue. You’ll be able to find this in various coffee shops around the city center.